Friday January 9th, the year long reign of Ryan Taylor and Mondo Vega came to a violent end in Covina as part of Empire Wrestling Federation’s show. No count outs, not disqualification, no holds barred gave the advantage to Tommy Wilson and Tyshaun Prince. Aside from the height and weight advantage that Wilson and Prince carried over the Fall Empire, the added assault and assistance of Wizeone and the Queen. The Fallen Empire held the EWF Tag Team Championship for all but two days in 2014 winning the titles in December of 2013 and briefly losing the titles to Anchors Away before regaining them two days later in May. 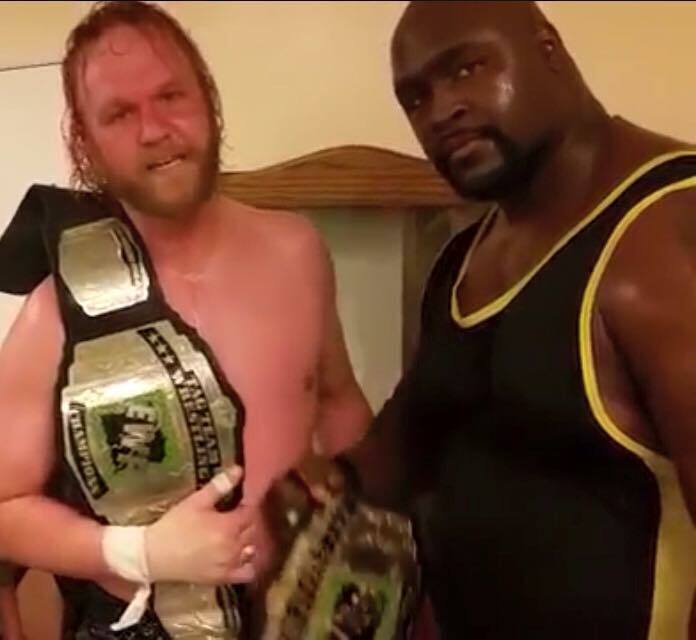 Now that the members of the Connected are EWF Tag Team Champions, you have to wonder what is next for Wilson and Prince. The rest of the show’s results can be read here. EWF’s next even will be Janurary 17th at 7PM in San Bernardino.